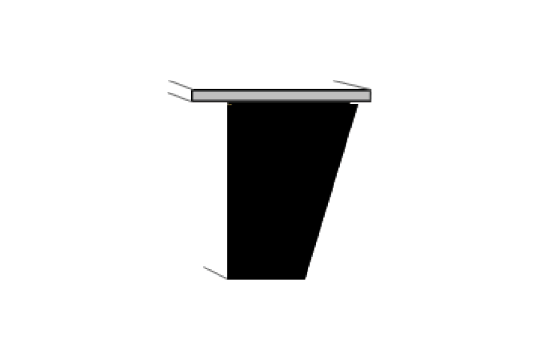 Like our Flat Iron Welded Steel frames, our Flat Aluminum (FA) frames combine flat aluminum bar stock on top of a wooden substrate. 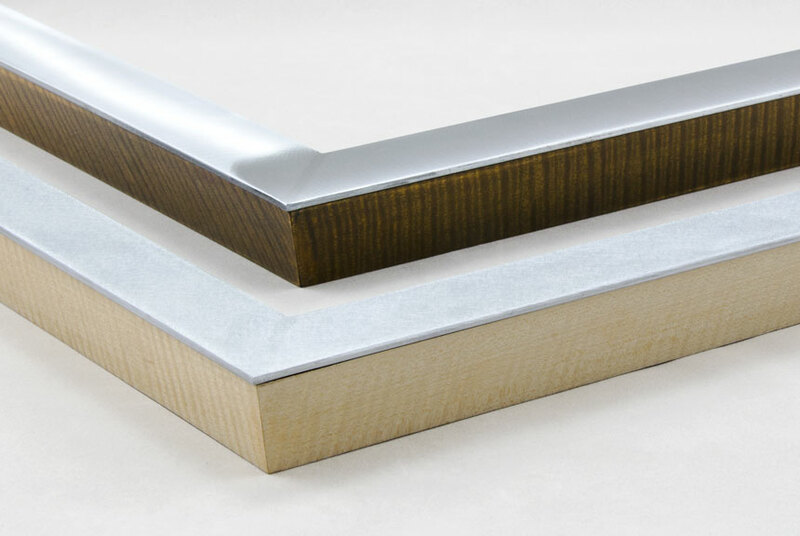 However, with our Flat Aluminum frames, our clients have the option of selecting one of our finest quality wood veneers for the side of the frame. We offer beautiful Birdseye and Tiger Maple, Fiddleback Anigre, Zebrano, Sapele, and Marble-Cake Ebony veneers, which create a striking contrast between the two elements and an undeniably one-of-a-kind frame. The Flat Aluminum bar stock can be brushed, frosted, or powder-coated in one of several colors. Additionally, we can use solid hardwood for the wood substrate, allowing for the sides to showcase a beautiful natural cherry or stained mahogany finish, for example. The unique combination of a beautiful, clean, contemporary aluminum face combined with the warm, rich exotic hardwood and veneer sides create a frame with countless design options and uses.